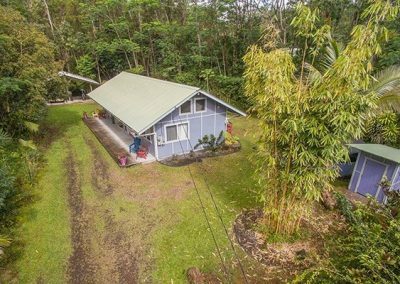 Great Opportunity to get a super cute 2 bedroom, 2 bathroom home with a great floor plan in the much desired subdivision of Leilani Estates. 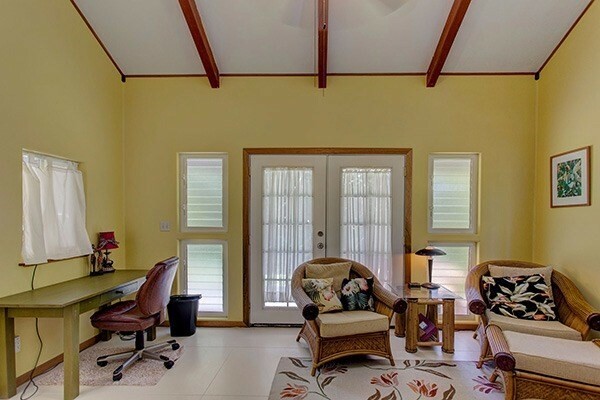 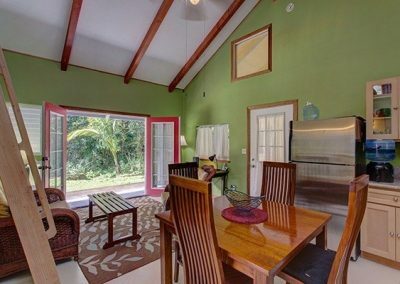 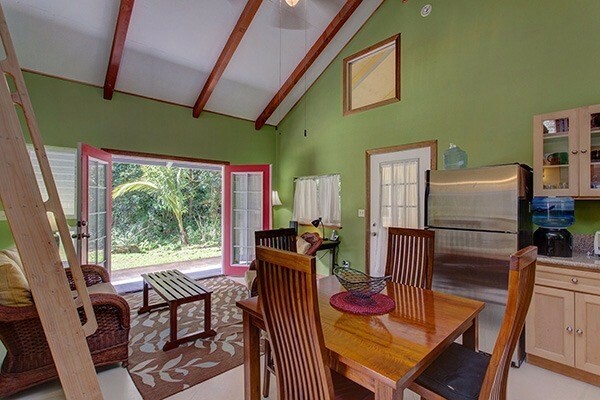 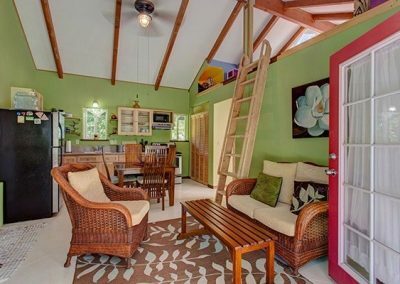 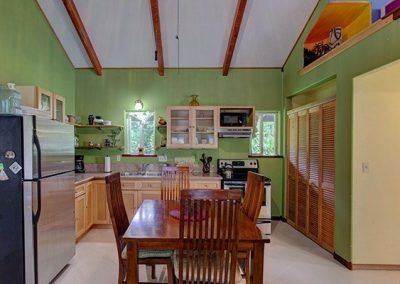 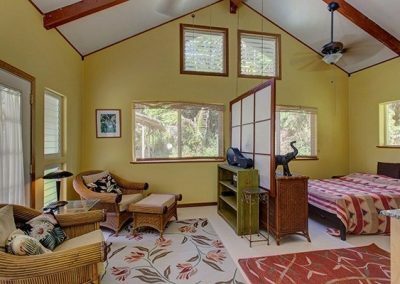 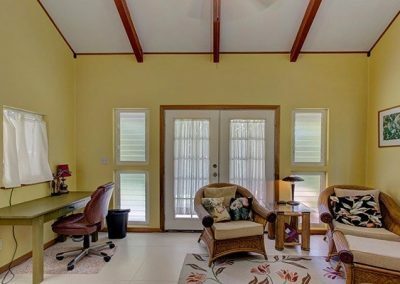 This home, tucked into a tropical 1 acre property, has the main living and kitchen areas along with guest bedroom, bathroom and loft in one section and across the covered lanai is the large master suite. 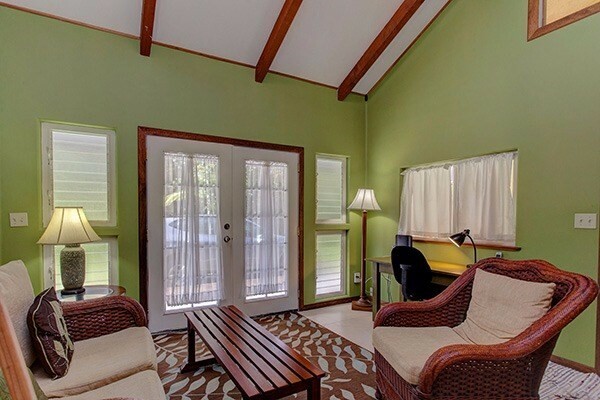 You can enter the main home through double French doors right into the cozy living area. When these doors are wide open you allow lots of sun light and breezes in along with the great view of the outside. 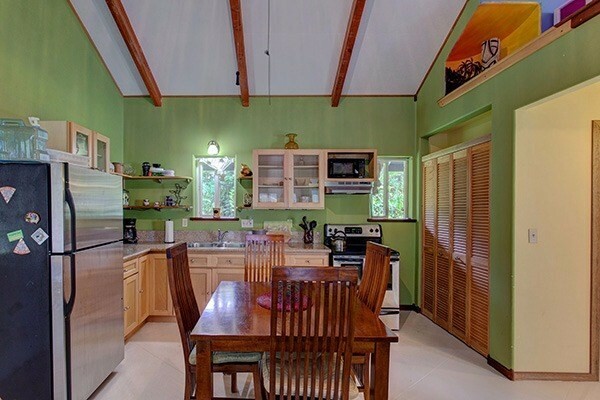 The kitchen has granite counter tops and stainless steel appliances plus a nice sized pantry. 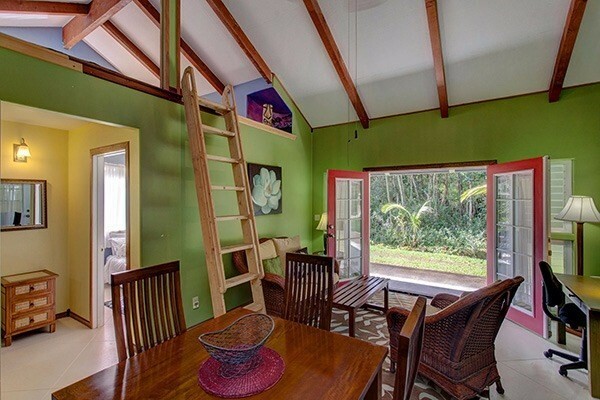 The vaulted ceilings are a nice feature and highlight the 200 sqft loft. 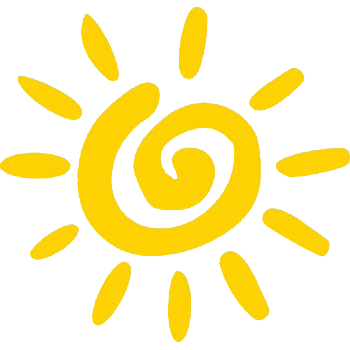 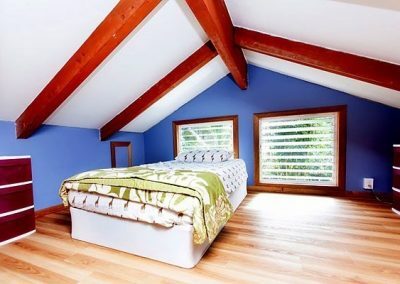 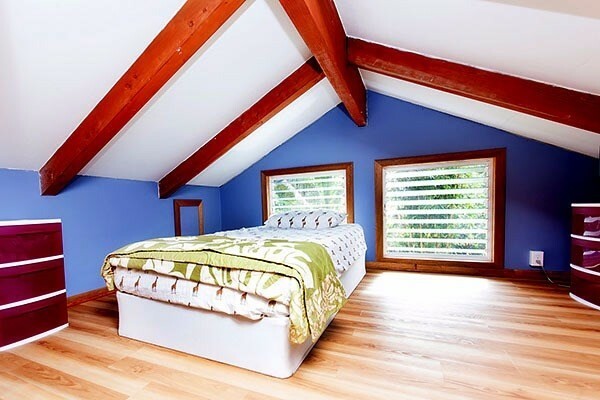 Use the loft as an additional sleeping area, office, mediation room or for storage. 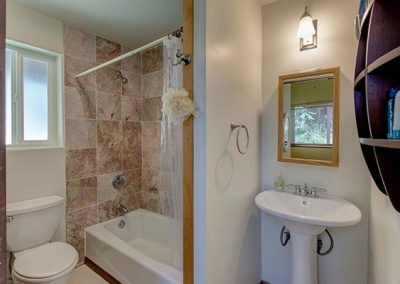 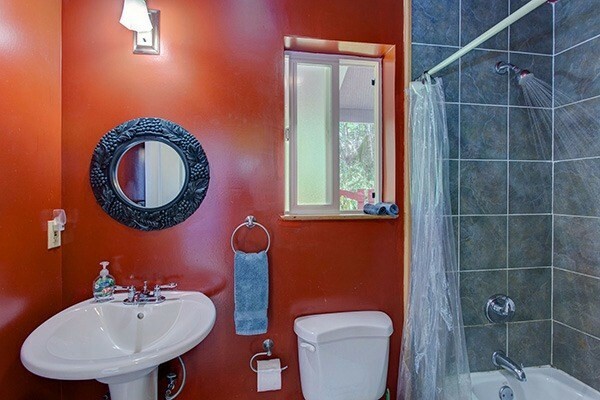 Down the short hall is the full sized guest bathroom with ceramic tile bath/shower. 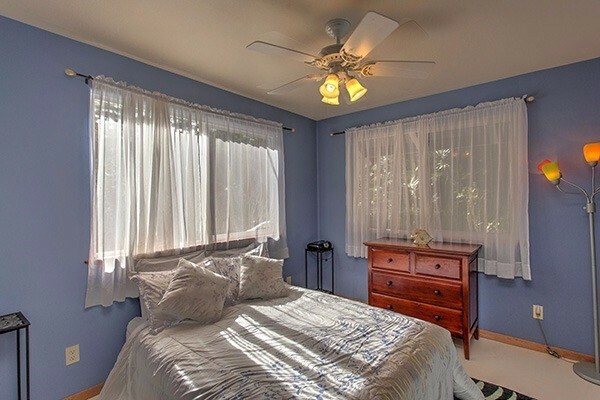 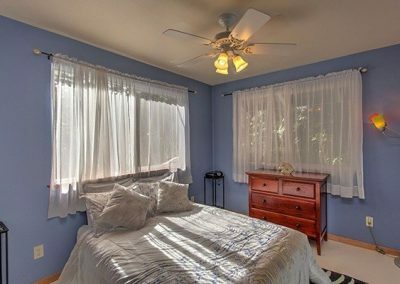 The guest bedroom is nicely sized and has large picture windows. 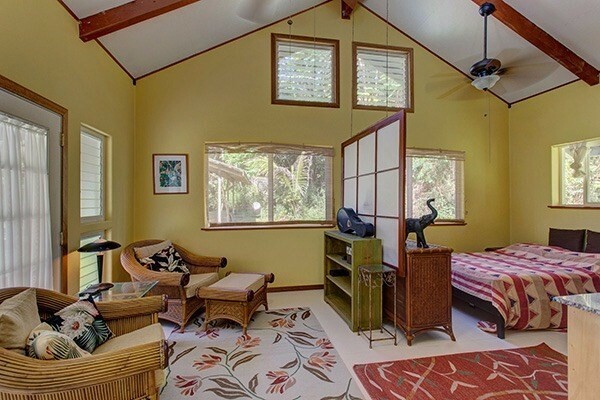 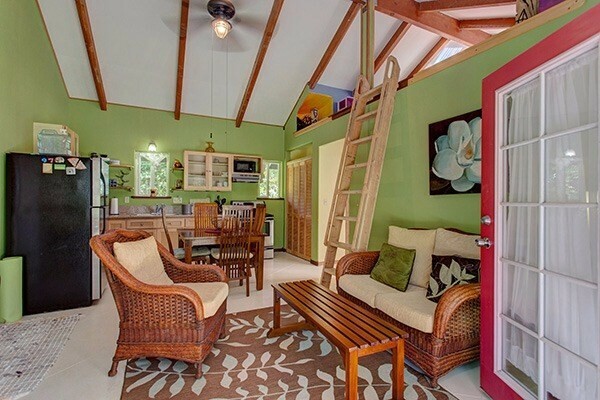 Just across the perfect sized covered lanai is the separate master suite. 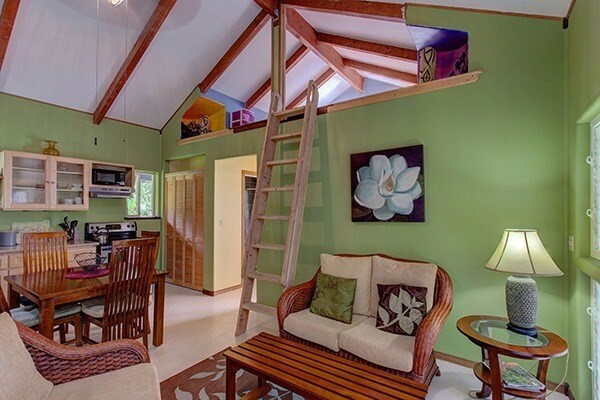 Here you have plenty of room for a bed, sitting or office area plus a small kitchenette. 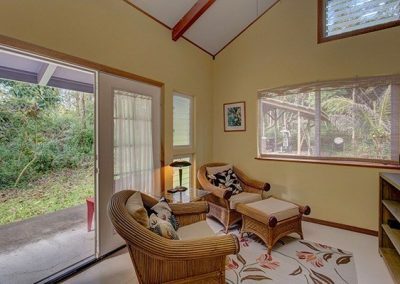 There are French double doors leading out to the lanai and these doors, when opened like those in the living area, let in lots of light and breezes. 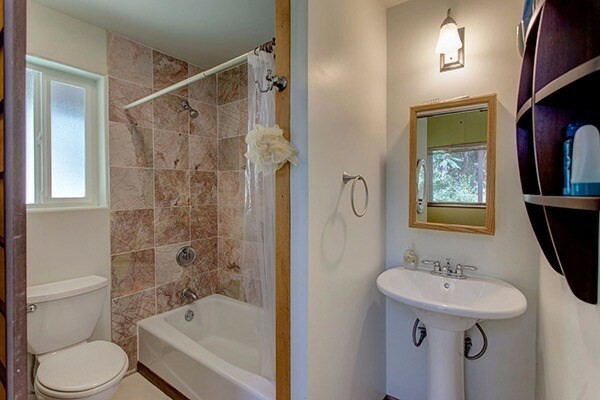 The full sized master bathroom rounds out this part of the home making for a self sufficient unit if desired. 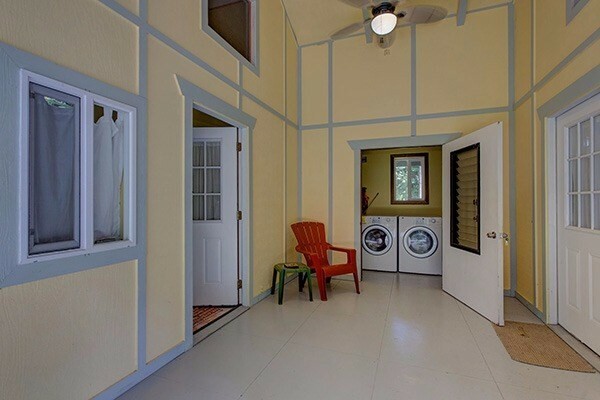 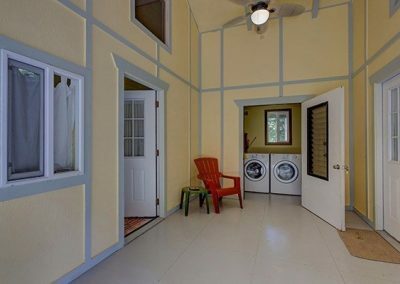 Off the covered lanai is a separate, easily accessed, laundry room with extra storage. 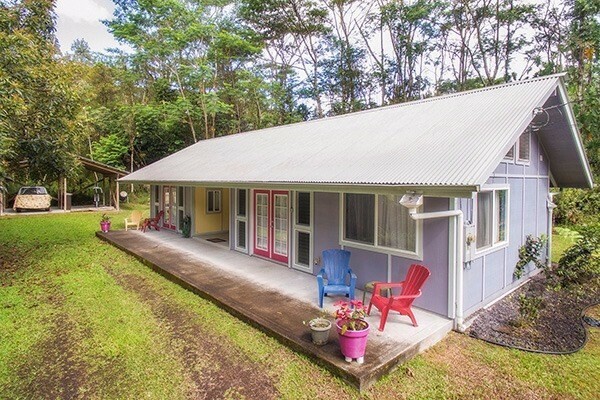 Bordering the south side of the home is 400 sqft of concrete decking and there is a 2 car carport off to the side. 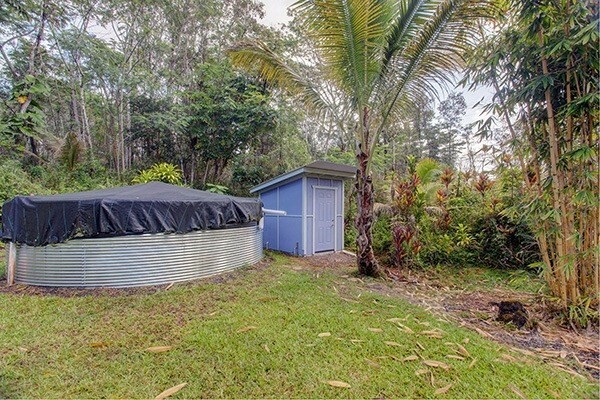 A brand new 10,000 gallon catchment tank, liner and cover has just been installed. 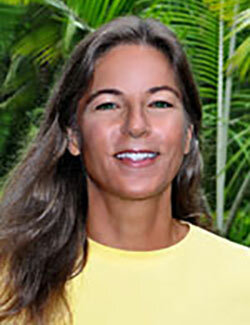 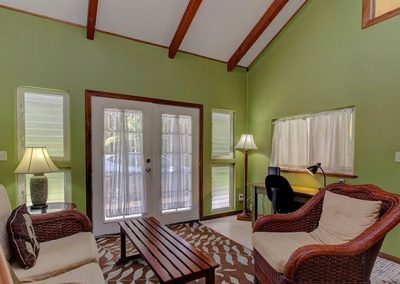 A great home where you can easily rent out part and keep the rest private. 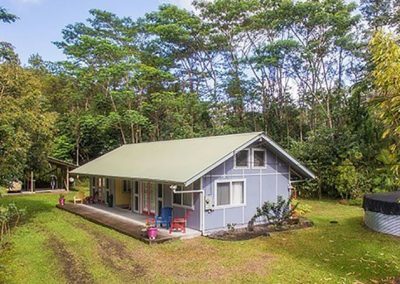 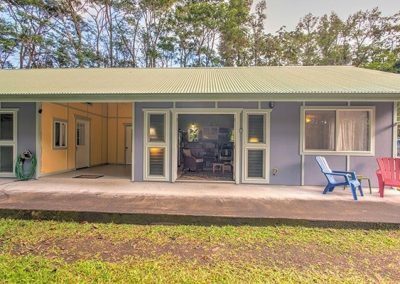 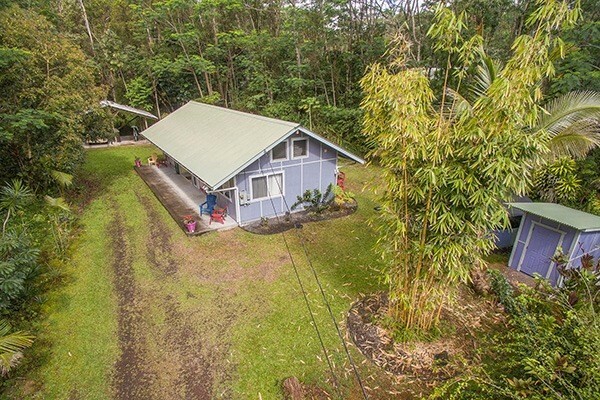 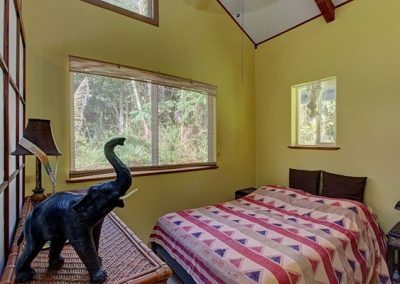 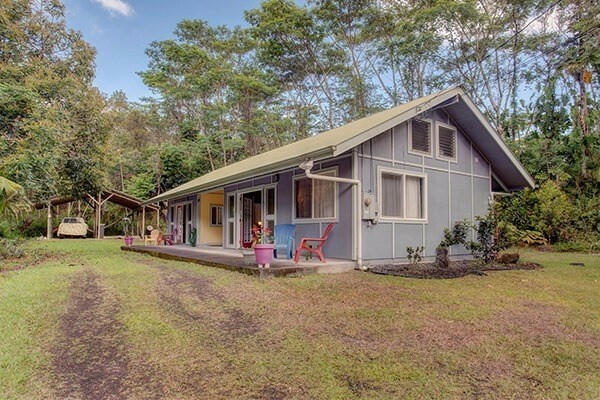 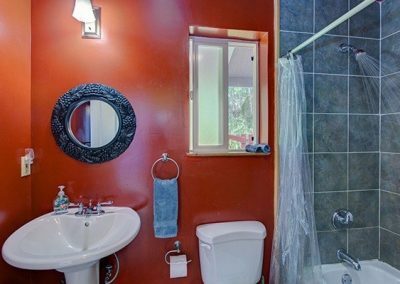 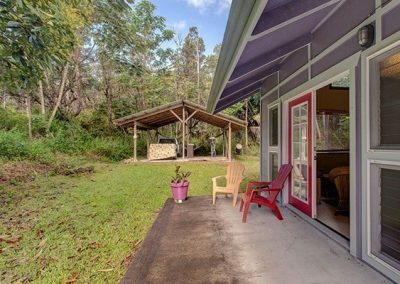 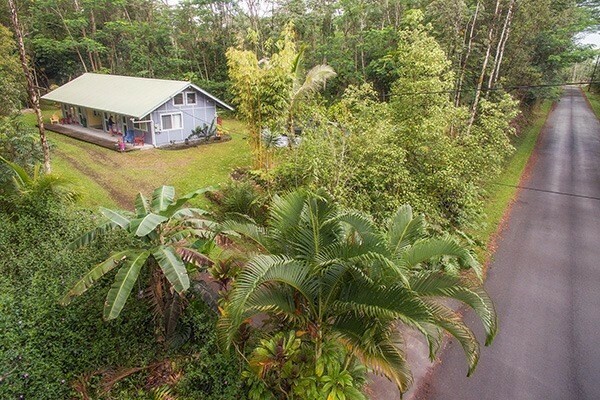 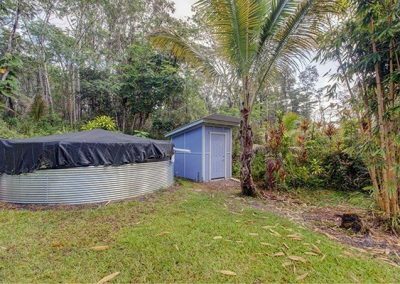 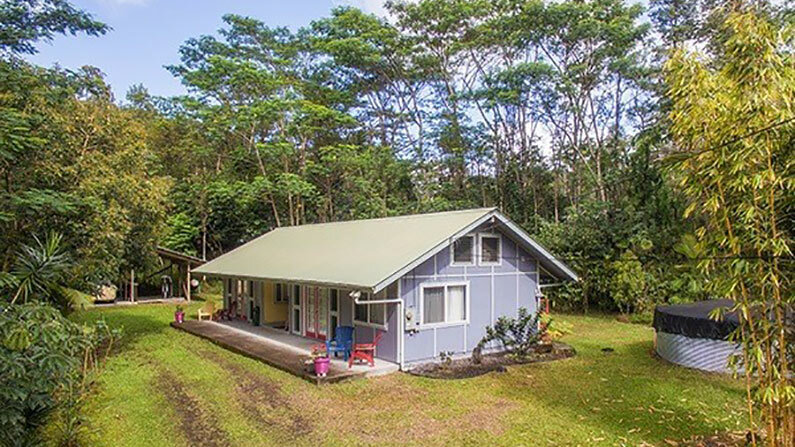 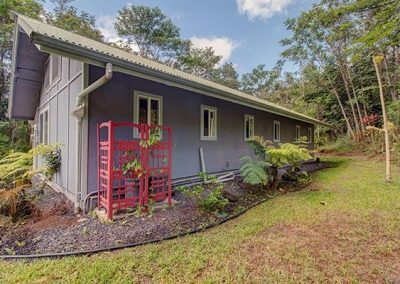 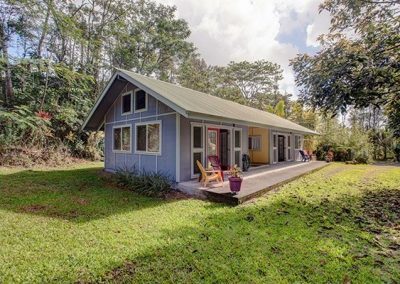 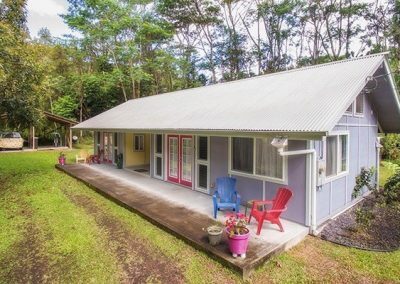 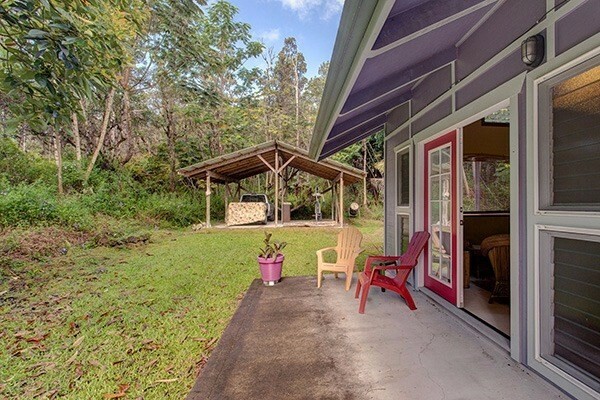 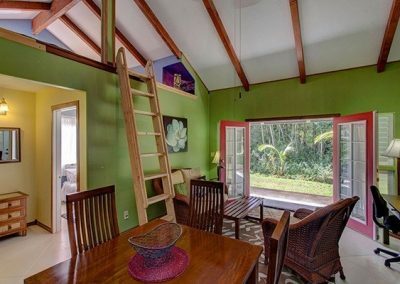 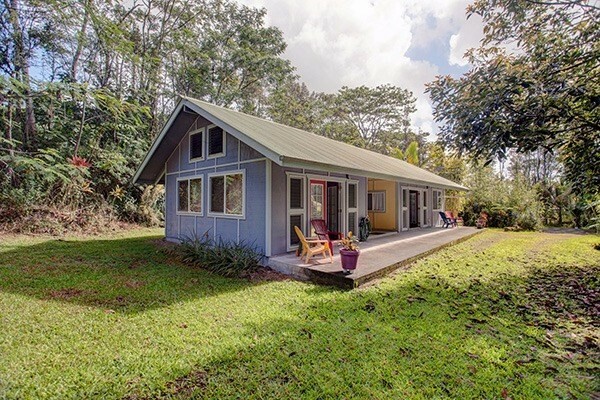 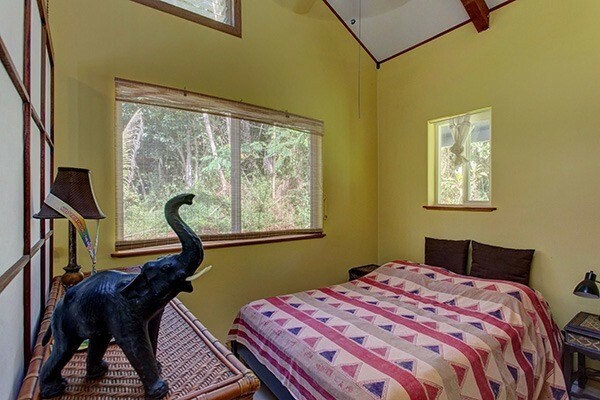 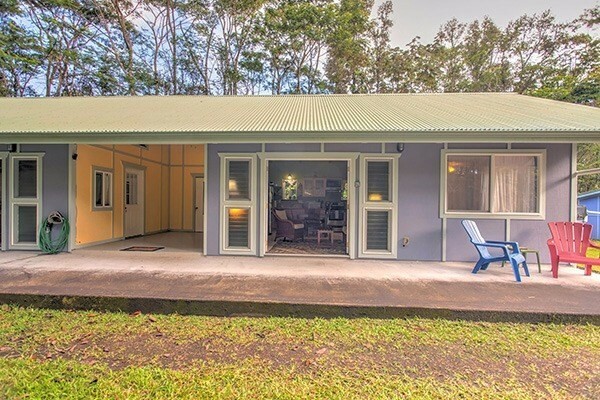 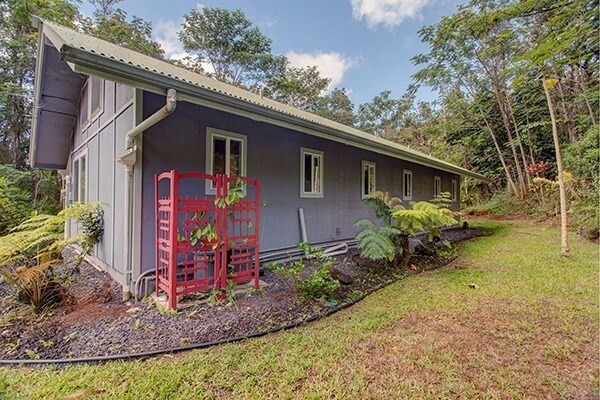 Home is located on paved road, has high-speed cable Internet / TV, is only a short 10-minute drive to Pahoa Town and all its conveniences or a 10-minute drive to the ocean where you can enjoy swimming, surfing, boating and fishing.